Zombies have been the flavour of the decade and have always held a special place in many film buff’s hearts. They have come in all guises from horror, thriller, drama and comedy down to outright farce. Best Friends offers yet another incarnation of the zombie film, and it actually does display some originality, which is tricky in a genre that is so over-represented. Especially in indie film makers. If you want to understand the over-all ‘feel’ of Best Friends, think Shaun of the Dead. In fact, this film could easily follow on from where Shaun of the Dead finishes where we see the bond between two male friends transcend zombie transformation. In Best Friends we see two office workers who are also long term best friends as one of them falls ill at work. As it transpires, his illness is in fact a zombie virus. The friend then attempts to protect and help his friend, despite him running rampage around the office. What Best Friends does very well is provide a believable and tangible friendship between the two lead characters, despite one of them having less than twenty words of dialogue. Despite this the bond between the two is heart-warming and cheering. The writing within the film is strong. The film builds gradually and the comedic element within the scripting is subtle yet effective. The film utilises both vocal comedy and physical/environmental comedy in order to provide a film that is laugh out loud at points. Aside from the comedy, the film displays an aptitude for costuming and make up that is admirable. Not only is the zombie make-up impressive but there is also a subtlety to the physical elements that goes a long way. The film doesn’t go over the top in terms of gore and it holds on tight to its comedy roots. Best Friends is a well-made, well written and well executed film that explores the often underrated bond that links male friends. 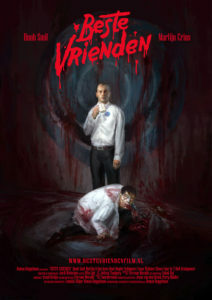 With excellent performances and impressive production Best Friends is a blood filled delight for audiences that enjoy their zombie’s with a side order of heart. From the outset this film is bold and bright. From the music to the colourful outfits you cannot help but be drawn to the screen. Drawn to a way of life and a celebration that is so far removed from many of our lives. This is the strength of this documentary piece. It doesn’t just focus on a geographical location. It focuses on a people. It looks at their history and their historical journey as a population through the eyes and experiences of a variety of people within the community. 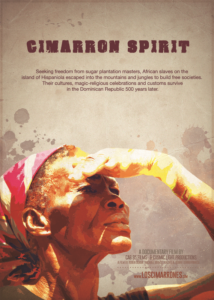 As the film focuses on the Cimarron celebrations the audience are treated to an insight into the cultures religious and mythological belief systems and the emphasis that is put on legends and myths within a society that has magic within its belief system. The mixture of various celebrations and different aspects of the celebrations works well to provide different perspectives of the Cimarron and the variety of legends that surround them. This in turn provides a much stronger and more fulfilling narrative to the documentary. The different viewpoints make the documentary much more interesting and intriguing. The bright colours along with evocative imagery are edited well to provide a visual feast that fits well with the voice over interviews and information that is being provided. Despite the wealth of information that is being provided the film feels streamlined and well organised. At no point does it feel mixed up or unorganised. This is a testament to the hard work of the film makers. This documentary is a fascinating insight into a culture whose belief system is far removed from Western culture, yet these communities embrace their myths and legends and come together to celebrate them. The film makers have effectively pulled together a wealth of information and formed a documentary that effectively tells the story of a legend and how it is perceived by modern society. A strong film that is well put together and well researched. Whilst the topic may not be of interest to everyone the film itself provides an entertaining and informative journey into a little known culture. Named after the Dandy Warhols song, Bohemian Like You is the second romance drama in the selection revolving around an erudite and utterly charming street cleaner (Billie) and a young lady in her bohemian prime. A boy meets girl story that ends right two steps after the meeting itself – following the street cleaner coming out of the shadows, beating the hollow, fake-gentry yuppie as well as his lumpenproletariat colleague – the film in itself is also a tasty social critique of the no-social-mobility mire the United Kingdom has come to epitomise. Bohemian Like You encompasses classy acting and delightful staging. Side characters, the yuppie who is out to steal French words to perform against his recent pick-up to the coarse street cleaner compete in rudeness, setting the scene for the crowning of the working class intellectual (who happens to be physically as flawless as a male underwear model) by the French-y flower skirt, lipstick and books girl. Nevertheless, despite the beauty of its message and any possible subtext, the film is one of those shorts that arise like signal flare, giving away the location of a talent but nothing more. It is as though its director had treated the short not as a format in itself but as a playground where he can exercise and advertise. 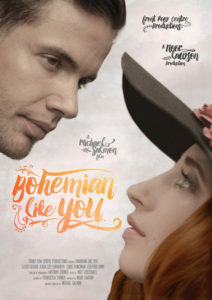 With its story halting exactly at the point it is expected to take a turn, Bohemian Like You definitely disappoints, not despite but abruptly because of its promising, well-developed characters and utterly promising style, leaving the audience looking for more. Time will tell the reaches of his skillset if Michael Salmon, the director, makes up his mind to work on larger canvasses with more intimidating material. It is hot outside and July’s Largo selection is ripe with short romantic dramas that courageously expand on the weight of culture shadowing amorous relationships. Argentinian Marcelo Mitnik’s In The Clouds is a semi-satirical take on the cultural differences, stereotypes, rituals and ‘learned romanticism’ that make or break a real romantic affair. A Gringo expat in Argentina is set to propose to his lover of 6 months and is hell bent on performing the antics we all have been exposed to in Hollywood movies – what has been regarded to be ‘right’ in the US – despite the cultural atmosphere he currently breathes in hints at a totally different and more ‘organic’ take on jumping over this particular threshold. Obsessed with a spectrum of rituals such as buying and presenting a ring, reciting the lines about her being ‘the one’ with one knee on the floor – hence her both feet on the pedestal – he doesn’t ponder even for a minute to pour effort and resources to make everything right. With the not so enthusiastic help of his colleague, he succeeds in arranging the stage, only to be greeted and shocked by a more natural approach from his girlfriend, which is as alien, disappointing and hurtful to his ways. 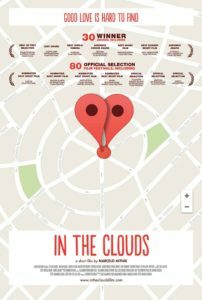 With its dialogue-craft, very solid work on characters and alluring cinematography, In the Clouds is paced smoothly and remains story-wise captivating. It doesn’t only herald a talent but distinguishes itself with a rhythm of its own, while preserving a warmth and viewer-friendliness instead of dipping into quick-study exploits of technique or engaging in certain tours-de-force. 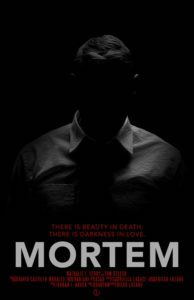 A nice treatment of the human condition with all its subtleties, Mitnik’s skilled storytelling proves enough puissant to cater to both the silver and the white screen. Eric Player’s A Moment of Anger, the winner of the Best Song Award at LA Cinefest and Honourable Mention at TopShorts is a road movie, or a film about a soul getting lost to find himself again, after a brief mental eruption, a moment of anger. A man storms out of his house, leaving his wife behind only to take a long stroll across nearby Americana and to witness life out there, with all its twisted, haunting and not so dark but desolate flash. His return marks the reembracing of not only the warmth of hearth and home but also a turn in the protagonist’s odyssey to know-himself. 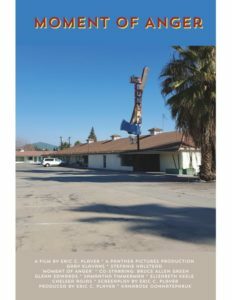 The almost panoramic portrayal of Americana, with its Best Westerns, lonely motels, weird strangers, boring shopping malls, scary sunsets and bird’s-eye-views of flat cities at night (diners might be missing from the overall picture) is flawless, perhaps owing to the simplicity-loving style and the local savoir of its director. The emotional impetus of the film, seemingly distilled from the very personal experiences of Player, hence can speak in tongues, apt in articulating both the almost Lynchian psychotica that sneaks into the mundane and the comforting language of familiar, in all its excellence. Crisp cinematography, a very well-paced and well-crafted story are wow factors that make A Moment of Anger stand out. Even after its emotional roller coaster, A Moment of Anger remains as mellow as a delightful guitar song coming from the bedroom windows of a lonely suburban home. Knots and ties of fate, a bond that extends beyond death and a supernatural yet so mundane and unpretentious intervention into the flow of life intended to convey a destined message make up the story of Messengers. As the girl mourns and devastates herself over the memory of a deceased loved one, black and white visuals of the days gone by, the days of love and joy melt into a present where there is only ashes and smoke (in both meanings, quite literal as chain-smoked cigs and quite figurative as sun-soaked melancholy that hangs in the air). 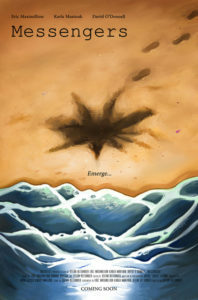 Meanwhile, a stranger washed ashore (and buried in sand! an Angel? Him lifting his head and talking to the heavens hint at this) follows and approaches her, only to communicate a message from behind the curtain that splits the two worlds. In all its unpretentiousness, Messengers has a profound message. Moments of epiphany don’t come with trumpet rolls, nor with grandiose curtain-lifts. Life and death, the two shores of existence that complete each other are so close that in our all too human and all too wonderful feelings, we are prone to forget that they are two gates of the soul.